Perth icon: Crawley Edge Boatshed Matilda Bay, Swan River. 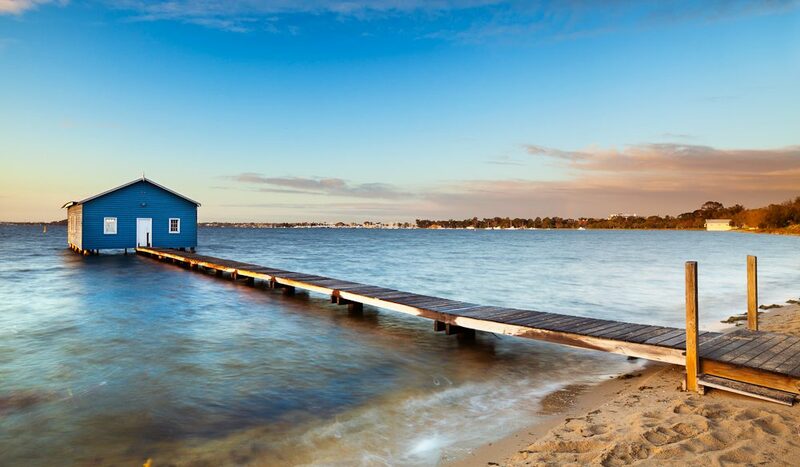 Crawley Edge Boatshed, Swan River, is a Perth icon. This beautiful boatshed sits at the end of a timber boardwalk on the banks of Matilda Bay on the Swan River. Built some time in the 1930s, perhaps to house the pleasure boat of some affluent local, it’s changed hands numerous times, as well as undergoing various repairs and renovations over the decades after storms and floods.